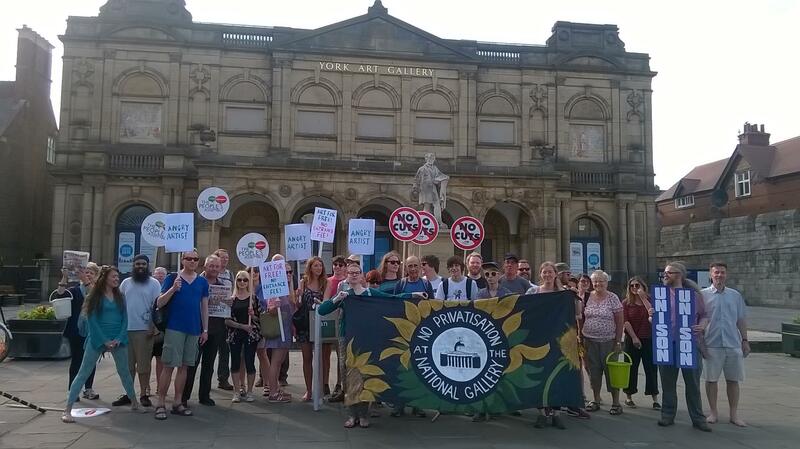 A crowd gathered outside York Art Gallery on Wednesday, 1st July, to mark one month until entry charges are introduced, and to welcome a striker from the National Gallery. 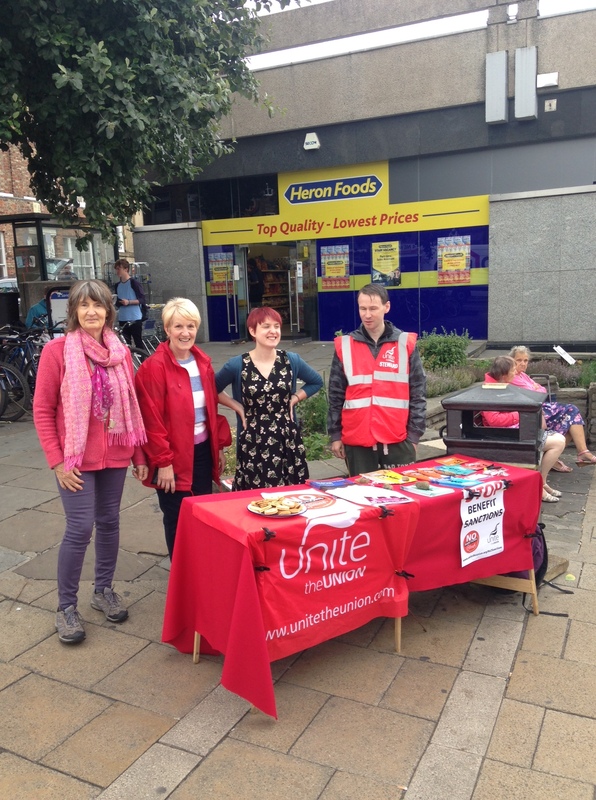 PCS members at the gallery in London want to prevent privatisation of their jobs. 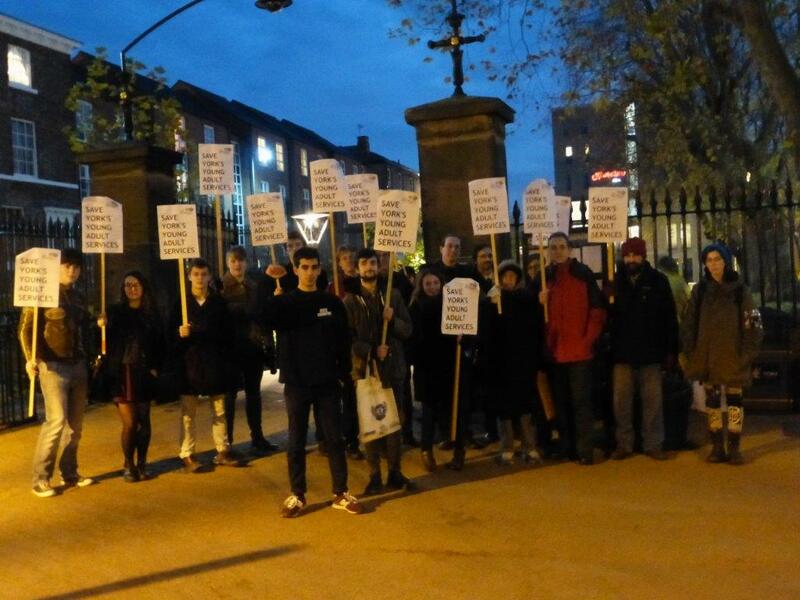 The strike, now in its 45th day, has already secured a living wage for all staff. A brilliant £350 was raised for strike funds during the visit. 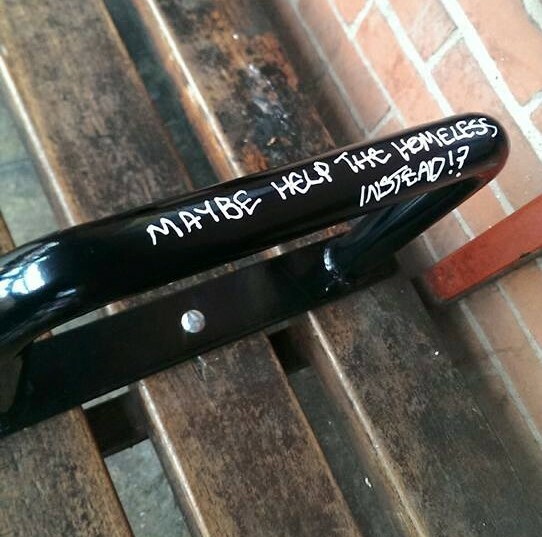 Meanwhile, York has seen a string of Arts issues in recent months. The new Council leadership have cancelled funding for the Guildhall digital media centre and the grass-roots Arts Barge project. Add to this the decision to charge up to £7.50 for visits to the local art gallery, and it’s clear that arts are being restricted to the most well-off.